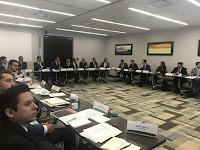 Sponsored and promoted by SENER (Secretaria de Energia) of Mexico’s Federal Government a workshop about geothermal energy need in technologically neutral free markets was held at the IDB offices (Interamerican Development Bank) in Mexico City last August 28, 2018. In this occasion the Geothermal Council of Chile through its Chairman Mr. Gonzalo Torres Macchiavello was the main expositor. During the workshop the results of the “Geothermal Roundtable of Chile” were presented. 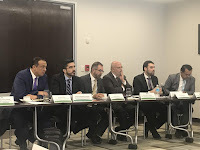 The final report of this roundtable was released on July 2018. 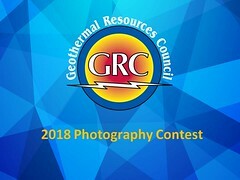 The report focuses in proposing concrete public policies to promote geothermal power generation development in a free market economy with technological neutrality. 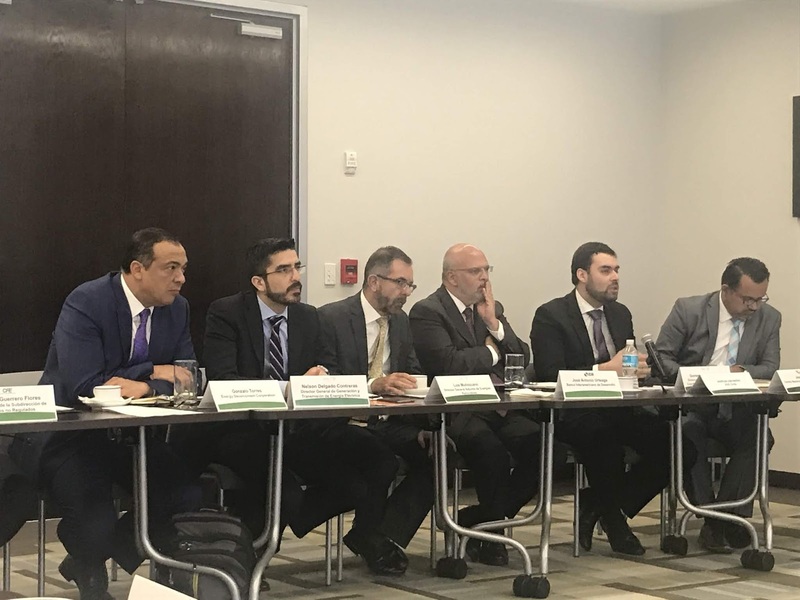 The workshop was attended by the Mexican Government main electricity system actors like SENER, CENACE, CRE, multilateral agencies (CAF, IDB, KfW) and IPP’s (Grupo Dragon, Mitsui, Energy Development Corporation) and the Geothermal Council of Chile. Mr. Nelson Delgado, Mr. Luis Munozcano, Mrs. Michelle Ramirez and Mr. Jesus Avila among others represented the Mexican authorities’ entities. 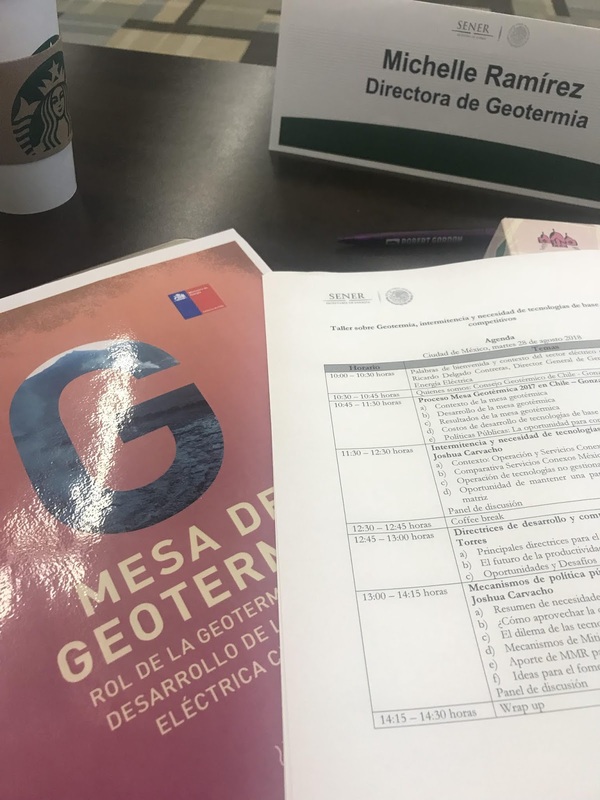 Mrs. Michelle Ramirez SENER’s Director of Geothermal, quoted: “I would like to thank the Geothermal Council of Chile and Mr. Gonzalo Torres Macchiavello and his team for their support in the execution of this workshop. 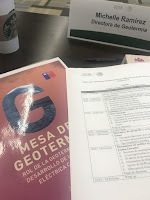 Without doubts this is the beginning of a new stage for geothermal energy development in Mexico”. Thanks to Gonzalo Torres Macchiavello, Country Head Chile, Energy Development Corporation, for the information.